Q. How do I register for a Massachusetts License Renewal Seminar? A. The easiest way is to register online via this Web site. You can e-mail us. Please include the date and location for the seminar you want to attend. You can call us at (781) 686-4788 all calls will be returned between the hours of 5-7 P.M. Monday thru Friday. Q. Can I register for the license renewal seminar at the door? A. No, you cannot register at the door. We prefer that you register in advance; space is limited you can either register by calling us at (781) 686-4788 all calls will be returned between the hours of 5-7 P.M. Monday thru Friday. Or by filling out the registration form here on our web page. Seating is Limited - Contact course instructors John MacDonald or Dave Brogan to reserve your space at (781) 686-4788 all calls will be returned between the hours of 5-7 P.M. Monday thru Friday. Q. What time does the seminar start? A. Saturday classes are from 8 a.m. 2 p.m. Tuesday & Wednesday classes are from 6 p.m. 9 p.m. PLEASE ARRIVE 15 MINUTES EARLY FOR REGISTRATION Class held at the American Legion 295 California St Newton, MA. 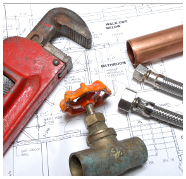 02458 You Must have picture ID and valid Mass Plumbers/Gasfitters License! Q. What happens if I'm late to the seminar? Q. How much does the seminar cost? $100.00 per student for 6 hour Plumbing Class. $60.00 per student for 3 Hour Gasfitting Class. Q. Why does the online continuing education cost more than attending a class? A. The associated cost for an online program is more than a classroom setting .